Okay, people. This is really happening, I hope you’re sitting down right now. 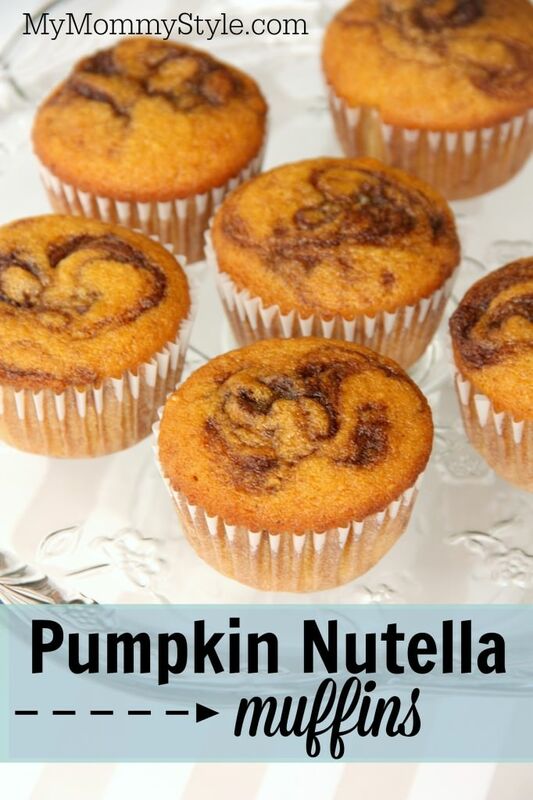 PUMPKIN NUTELLA MUFFINS! Three of my favorite things in one delicious, moist, gooey, wonderful little cup. I saw this recipe on Your Cup of Cake and I knew I had to try it. These muffins didn’t disappoint. I could try to tell you how delicious these were with words like “yummy” or “best muffins ever”, but that wouldn’t do them justice, so I will just tell you that my family ate 30 of these muffins in about 12 hours. I probably ate half of those. No lie. These are really good warm from the oven with an extra smear of Nutella on top. That’s how I roll. 1. Preheat oven to 400 degrees and line pans with cupcake liners. 2. Combine all dry ingredients and then all the remaining ingredients. 4. Drop about 1 teaspoon of Nutella into each muffin tin over the pumpkin batter (you don’t want to use too much Nutella or the muffins won’t rise correctly). Use a toothpick to swirl the Nutella in.